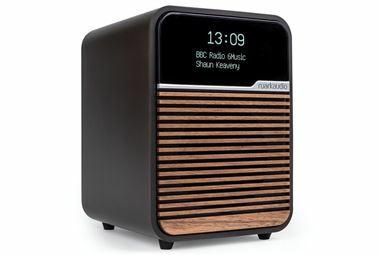 Ruark Audio R1 Mk3 Portable Pack - Our Special Offer includes... Ruark R1 Mk3 Bluetooth / DAB / FM Digital Radio with Battery Pack. Available R1 finishes: Rich Walnut veneer or White or Black. Making your Ruark Audio/Vita Audio R1 Radio truly portable, with this handy 'Backpack' battery pack. It attaches neatly to the rear of the R1 and gives you hours of portable listening - perfect for taking your R1 with you around the house, down the garden or by the pool.